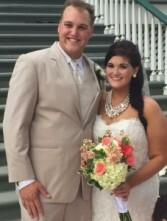 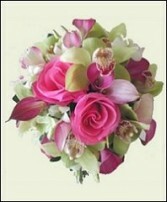 Call Flowers Forever & Gifts for ideas that make your wedding day memorable. 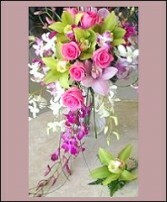 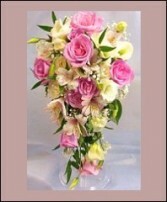 Brides-to-be receive the highest quality, professional design and customer service at Flowers Forever & Gifts. 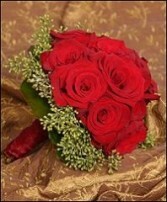 We tailor our services to cater to your individual needs, as well as giving special attention to details that create weddings to remember. 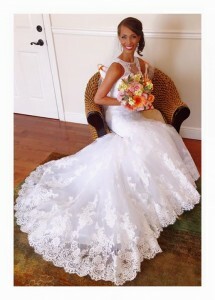 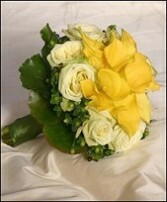 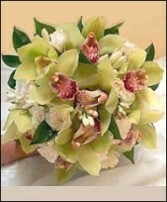 The bride’s bouquet should reflect the character of the bridal gown, and must not compete with or overwhelm it. 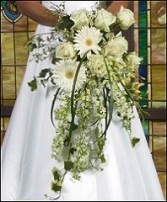 Just because a bouquet may be small doesn't mean that it has to be ordinary, with exquisite types of flowers and gorgeously-detailed accents. 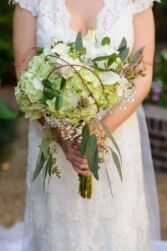 We can achieve a more personalized look by adding embellishments to your bouquet and bouquet handle with sparkling touches and accents, like crystals, pearls, berries, butterflies, rhinestones, fruit, feathers and almost anything else! 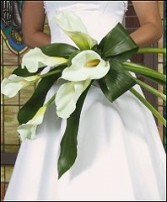 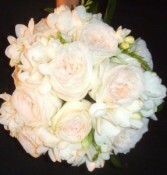 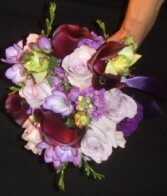 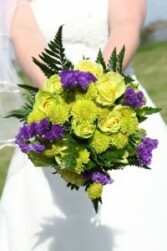 Please note that these are just samples of the beautiful bridal bouquets available. 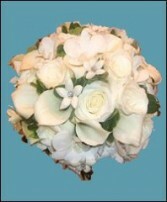 Our designers, Michael, Krista, and Liz create custom works of art for each occasion. 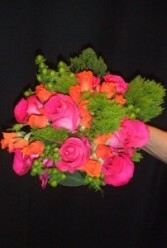 Please feel free to stop by or call us anytime to discuss your magnificent upcoming affair!